The RISE (Ritual to Improve Service-delivery and Empower health workers) project seeks to understand the rituals and motivations surrounding service delivery of front line workers (FLWs) in India. 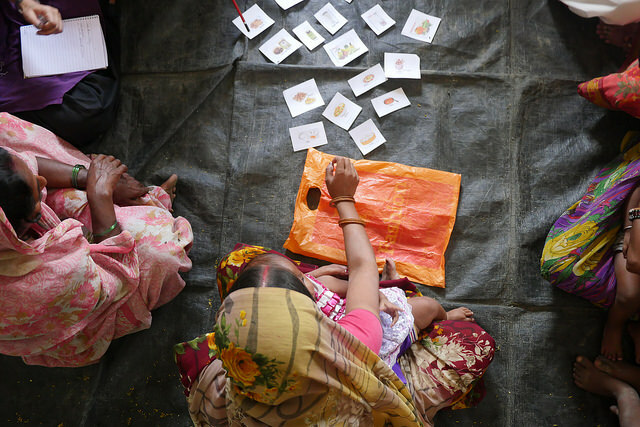 Working in collaboration with The University of Texas in Austin, the RISE project integrates social science research with human-centred design to understand and leverage rituals to improve the quality of healthcare service delivery by front line workers in Bihar, a state in Eastern India. Led by Dr. Cristine Legare at the University of Texas Austin, the research seeks to understand the rituals, motivations, and social dynamics surrounding health service delivery among FLWs. M4ID will support co-designing solutions that address the psychological, social, and cultural roots of the barriers to effective delivery of services. The RISE project will also develop a strategy for implementation and impact evaluation as well as disseminate key learning on how rituals can be harnessed for improved quality of care. This project takes a unique approach by combining scientific research methods with human-centered design strategies, leading to an interdisciplinary approach that is expected to inform the design of more effective service delivery and behavioral outcomes.